Hey there! I missed you all for yesterday’s Personal Style Monday. I found myself checking my site to see who’d linked up, what they were wearing, and there was nothing there! So why didn’t I post yesterday? Glad you asked. I honestly didn’t feel like it. There, I said it. I had an outfit post and content ready to go, but something in me just wasn’t feeling it. 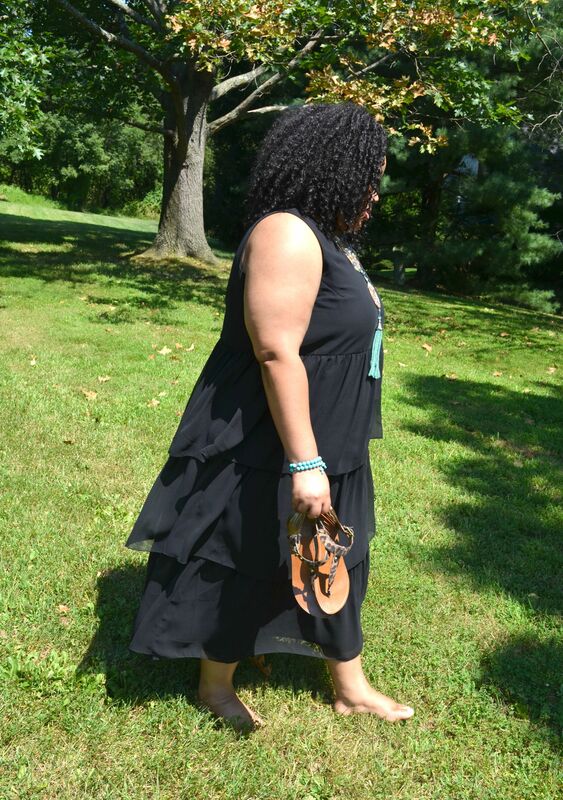 I was feeling the outfit because I looked fly, lol…but I didn’t feel like the editing and sharing part. That was a wake up call for me. This summer I’ve been providing stylish outfits, personal style tips, inspiring features, and I’ve LOVED every moment/post! However, I’ve been so adamant about feeding my readers great content that I neglected myself. No bueno. In a nutshell, it’s time for Whitney to hit the pause button and regroup. Hitting the pause button has been something I’ve thought about and talked about with my husband and family for a few weeks. For some reason, I kept convincing myself that I’d wait until “next week” or “next month”. After all, I’ve worked so hard to remain consistent throughout the summer and I’ve really been trying to define and grow my brand. So taking a break from all this just didn’t seem right. However after attending Blogalicious this past weekend, I realized that taking a break can actually be beneficial, for me and you (my readers). Self care is crucial for a happy and healthy life. It’s also a main ingredient to success. Regrouping, rejuvenating and relaxing is a good thing! It allows your mind to rest and reset itself. If done correctly, taking a break from blogging (or any other job/occupation) helps refuel your mind and re-energize your body. When you hit the play button and get back in the game, you’re ready to share SO MUCH MORE amazing and useful content with your readers. And that’s what I intend to do, starting Monday….lol. I learned SO much over the weekend, as well as throughout the summer. I now need time to sit with and sift through those lessons, tips and ideas and figure out how to implement them when I return. I’m already excited because I have so much helpful content and activities planned for WNJ and #FearlessWomanIam. 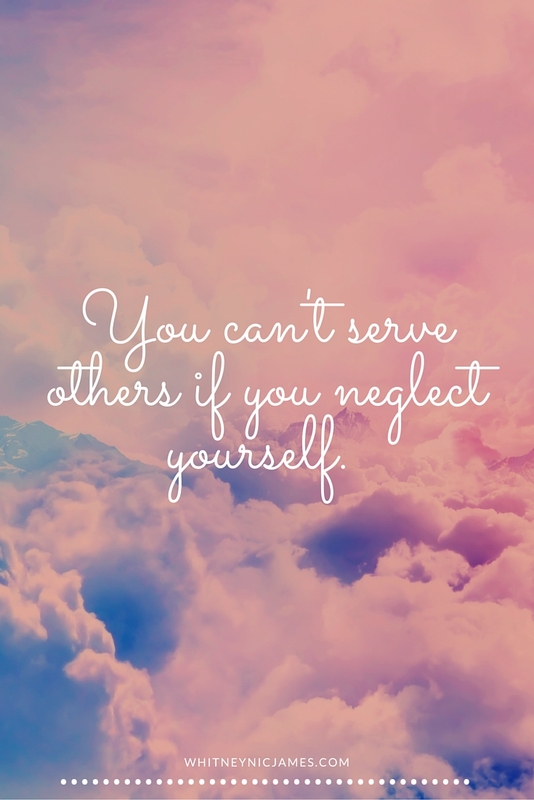 But I must make self-care a priority in order to continue serving my readers and potential clients. So tell me, what do you think about taking blog breaks or breaks in general? 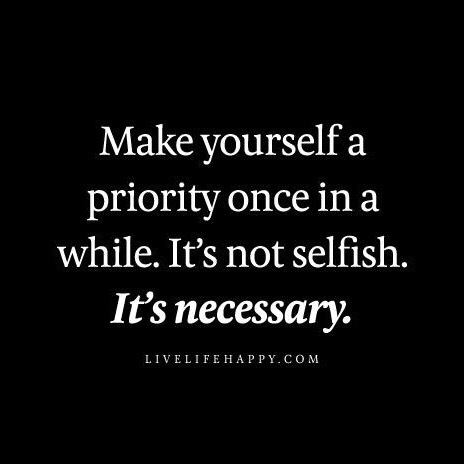 Have you been making self care a priority? Let me know! In the meantime, I invite you to join me on my new Instagram page, as well as sign up for my newsletter. I’ll be updating and sending out information through both outlets this week, as well as when I return. As always, thanks for reading and following. I truly appreciate the support here on WNJ, through social media, and even through the emails. It’s such a blessing and helps get me through those “blah” days. I’ll be back tomorrow so until then, stay blessed and be safe…XO! Taking blog breaks is a good thing. Think of it this way: we always want to take a much needed extended break from our 9-5, right? So why not our blogs, too? You’re better than me, tho. I take my breaks without even mentioning it on my blog. No heads up, no nothing. That’s not fair, right? lolol. Enjoy your two week ‘vacay’. Can’t wait for your return. Yes, taking a break is always needed. I’m in need of one myself and thinking of taking some breaks after the holidays. So many talk about pushing, pushing, pushing. Going, going, going. Etc etc etc. Dear Whitney, I’m a strong advocate in quieting myself. It is within the peaceful moments we hear the voice which guides us. Always being connected, listening to this podcast or that Periscope can lead to an overly crowded mind. Take your time and take it with a vengeance. You’ll come back refreshed and clear. Blessings to you. I knew you would understand, Glenda. And to be honest, you were the first person I thought of when I was writing this post. I have learned a lot about self care and it’s importance from you. Thanks for the reminders….XO! Every now and then I’ve been forced to take a break and I feel bad! I feel like I’m letting followers down and I’m not working hard enough but what I’ve learned is that you need breaks in order to keep functioning and if you don’t take a break the universe will force it on you! Esta Fiesta recently posted…House of DvF Season 2 Recap: Don’t Insult the Boss! Enjoy your much deserved break – see ya next month! Thanks so much, fellow #BLMGirl! I so needed this! I’m still learning to plan and prioritize better so that I don’t feel overwhelmed with blogging or entrepreneurial tasks. It’s tough, though! Sometimes you really do have to step away, breathe, and come back when you have a clear head. And most importantly, not feel bad about needing the time off. Janna recently posted…Do You Know What Today Is? It’s Our Anniversary!